Have you tried the new wonder-drink Kombucha? Creators of premium Kombucha and artisan alchemists, Alkomy Kombucha needs to be part of your weekly shopping list. Alkomy drinks are hand-crafted in the Margaret River region, 30kms south in the small coastal town of Augusta. ”We use all natural and organic ingredients and only pristine clean harvested rain water to make our beneficial blends, making it the cleanest and purest Kombucha around. Every bottle is loaded with health giving and antioxidant properties. Alkomy is a healthy alternative to soft drinks, wine and alcohol with a distinctly delicate Margaret River taste and feel.” says creator Fiona Abbott. Nurtured and raised right here, Alkomy was one of the pioneers of WA’s commercial Kombucha industry with the passionate local family that stands behind it. Quality is always a priority and as such Alkomy is made with nothing artificial. As an added bonus, every flavour is gluten free, dairy free, paleo friendly and suitable for vegans. Alkomy is fermented to have very low sugar which is how Kombucha should be, to make it that perfect replacement to sugary alternatives for the whole family. High in beneficial bacteria and yeasts which are good for gut health and supporting the immune system. It also has a mild detoxifying effect on the liver. 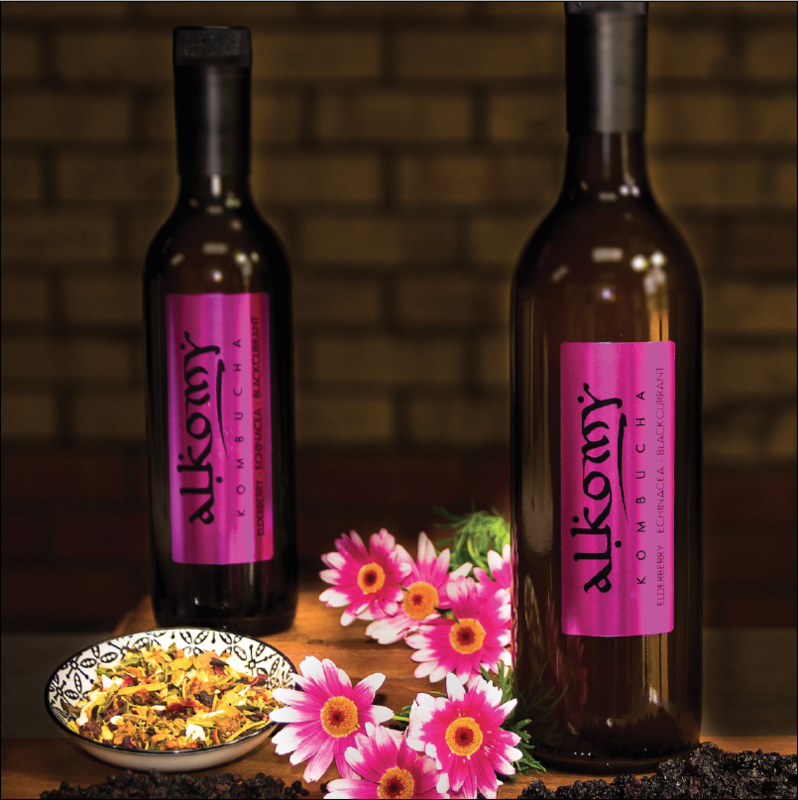 Celebrate spring with Alkomy’s new beneficial blend ”Elderberry, Echinacea and Blackcurrant”. Loaded with immune boosting ingredients to help with allergies associated with our favourite season. Elderberry Fact: Used for its antioxidant activity to lower cholesterol improve vision and boost the immune system, improve heart health and for coughs, colds, flu, bacterial and viral infections and tonsillitis – Elderberry juice was used to treat the flu epidemic in Panama in 1995. For more information on Alkomy Kombucha visit their website here.